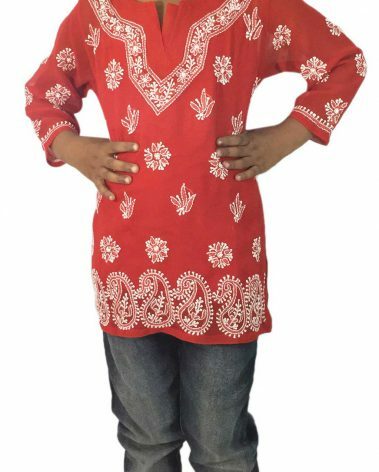 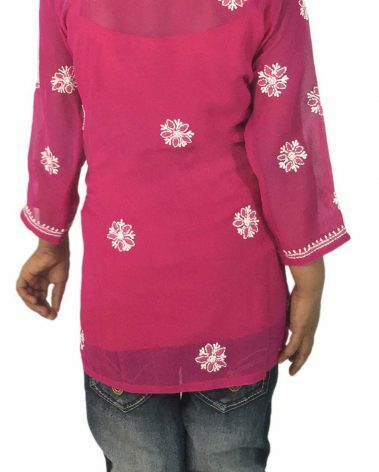 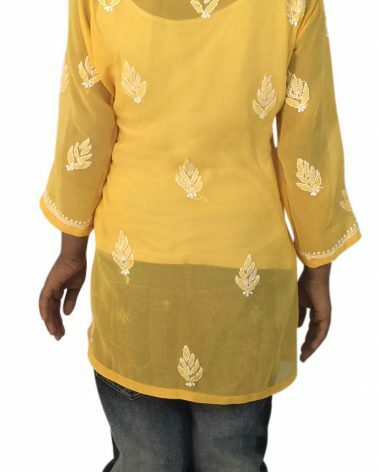 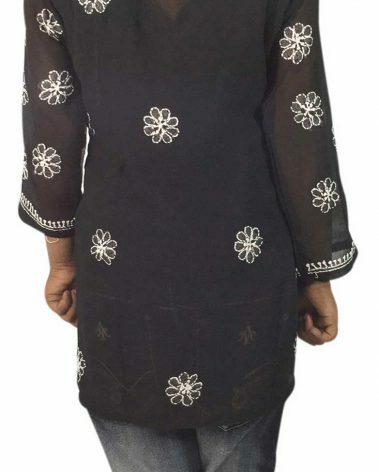 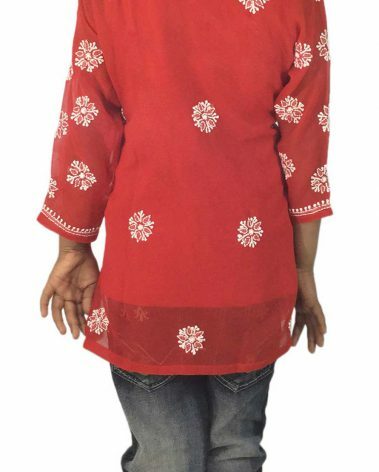 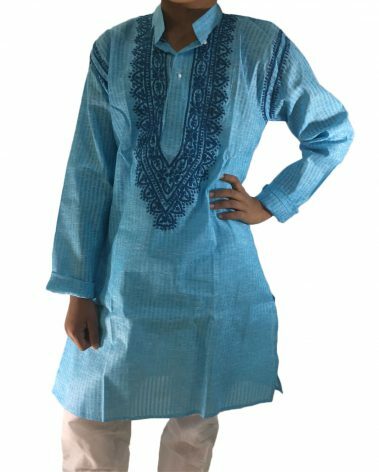 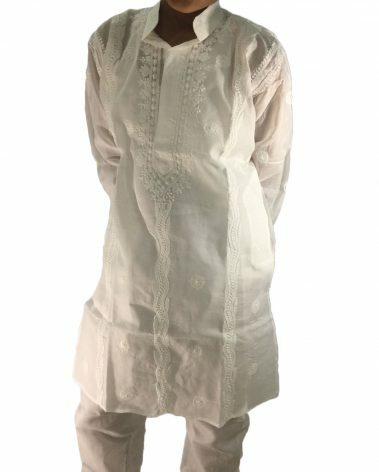 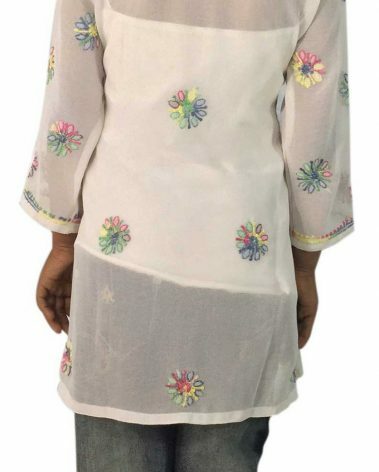 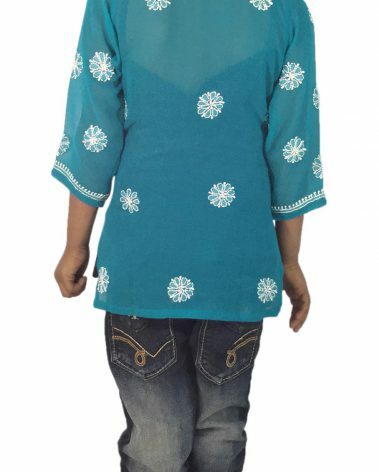 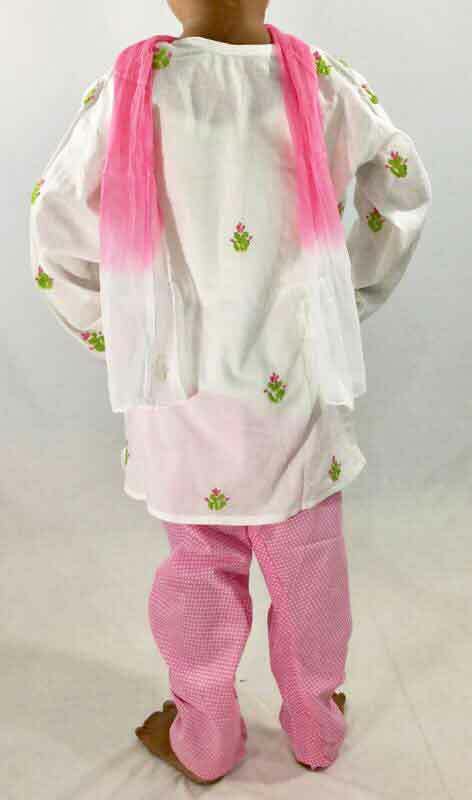 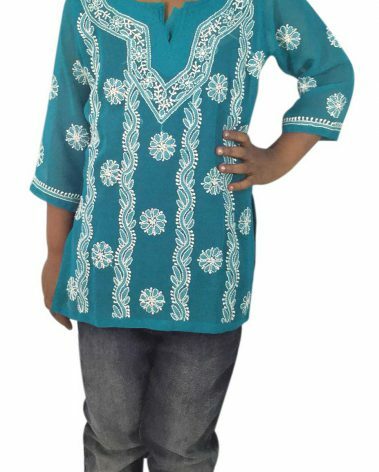 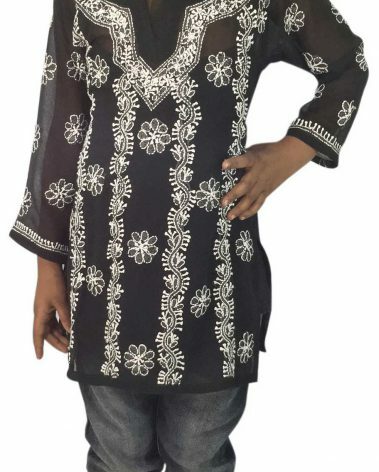 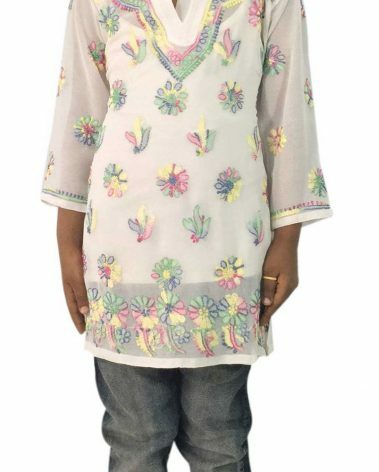 Ethnic Chikankari Set for Girls. 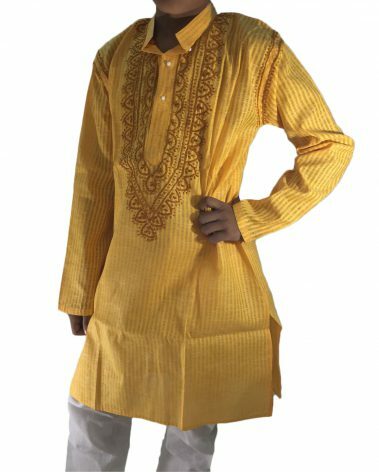 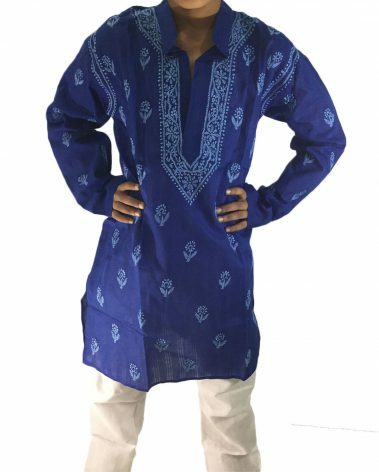 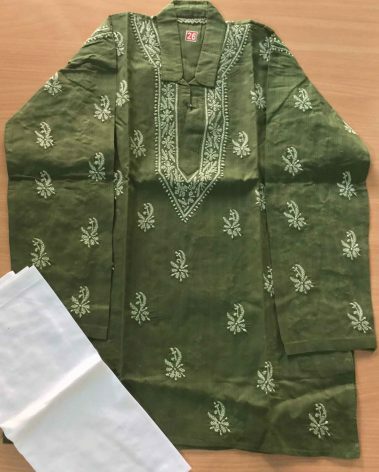 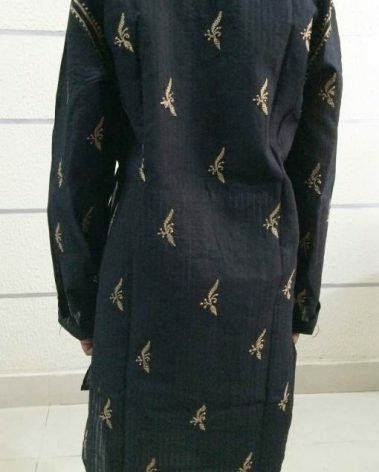 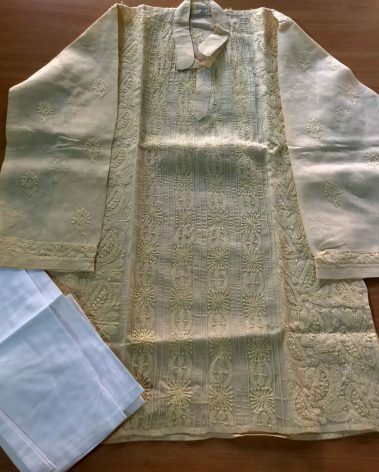 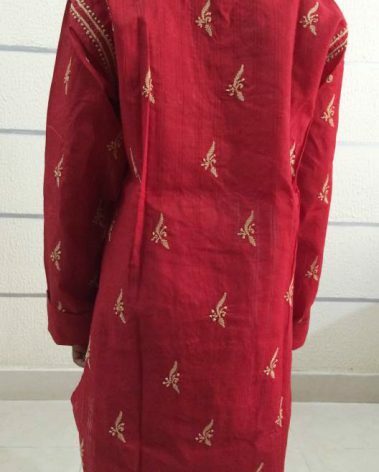 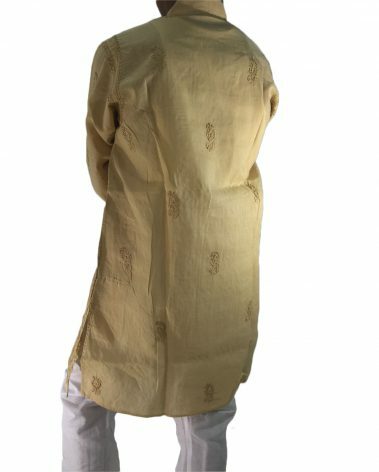 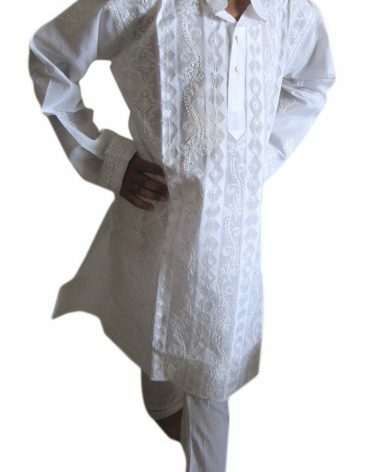 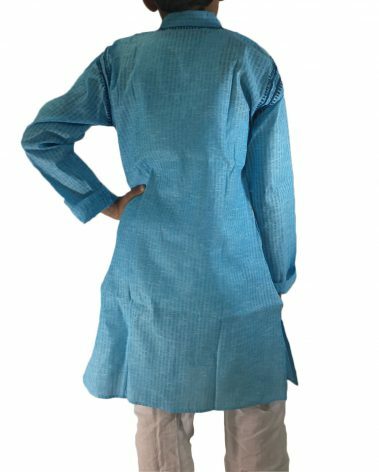 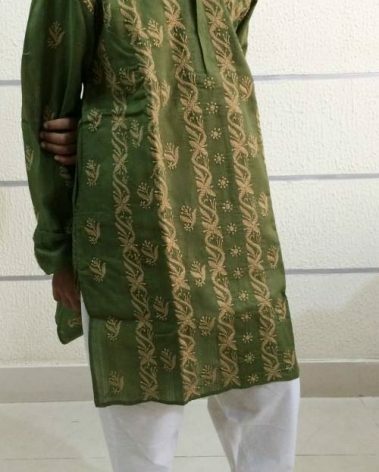 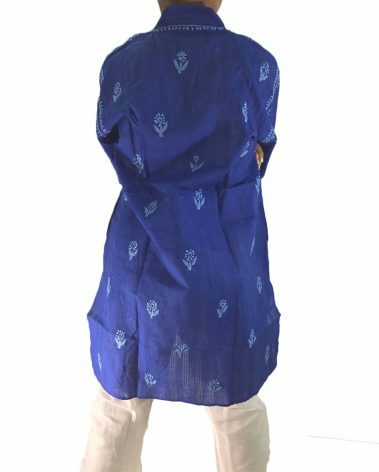 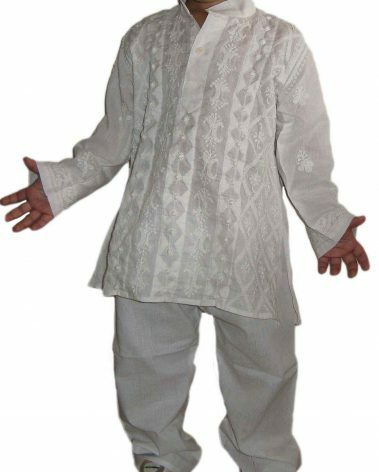 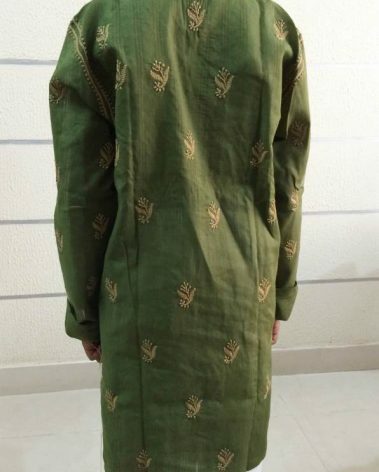 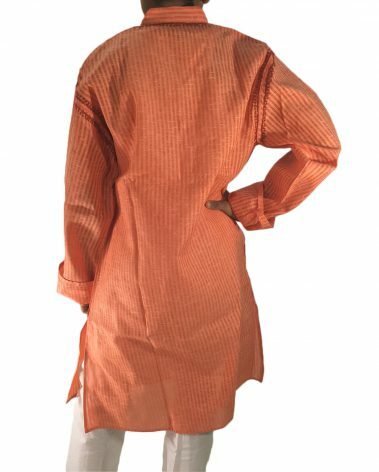 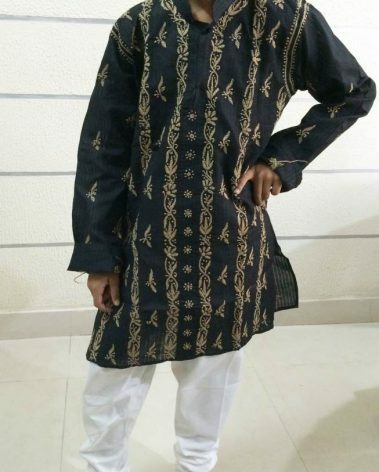 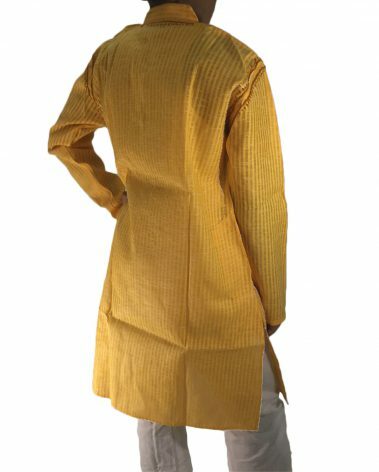 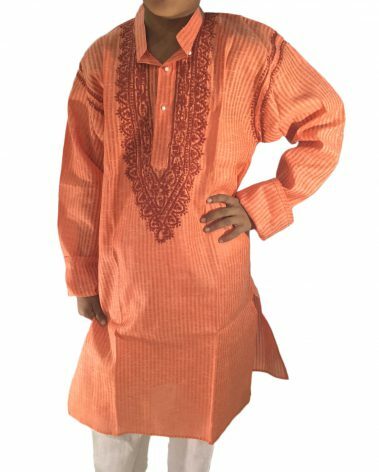 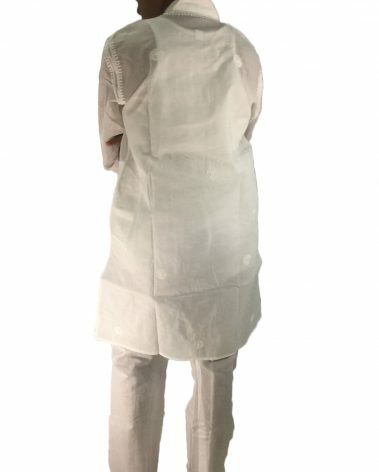 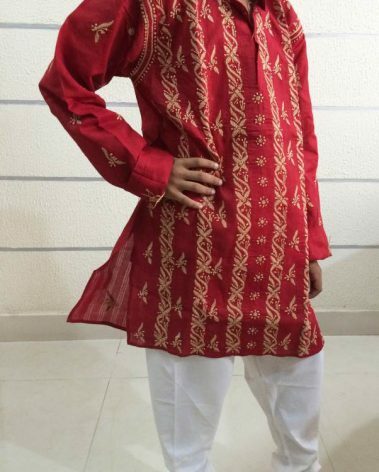 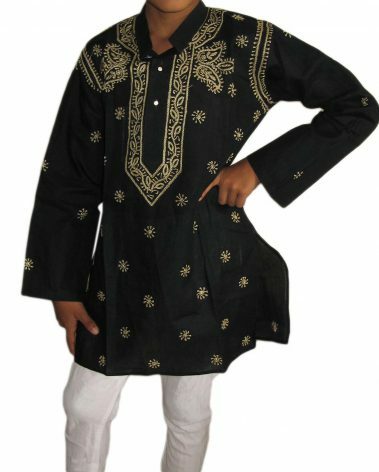 It has hand embroidery in front of kurta. 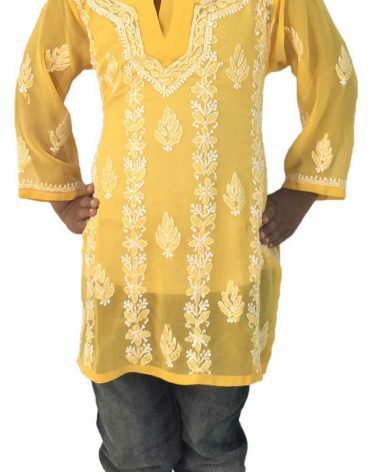 Complimented with embroidered printed Churidar and shaded Chunni. 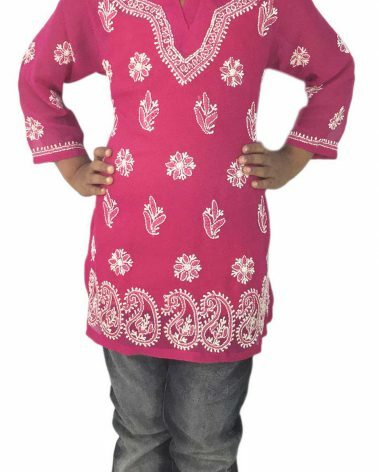 Chunni comes with Crochet all around to make the liitle one dressed for the occassion.